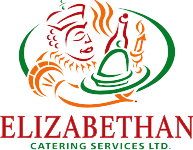 Contact - Elizabethan Catering Services Ltd. Box 4293, 55 Alberta Avenue. Catering is available on these dates with the exception of December 24th, 25th and 26th. 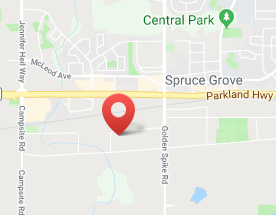 Drive along Highway 16A west to Spruce Grove. Once you approach Zender Ford, turn left and head over the rail tracks. The next major right is Alberta Avenue. Head west down this road and continue on until you find our complex; we are just before the Bee Maid honey plant on the left. Total travel time is about 15 minutes from the west end of Edmonton. To provide a fair and accurate quote for our services, in a timely fashion. To listen carefully. To provide an exceptional catering experience to our valued customers from beginning to end. To create “raving fans” of the company, happy guests, and customers, and to ensure that they are charged fairly for our food service – always. To provide a fair and accurate quote for our services, in a timely fashion. To listen carefully. To provide an exceptional catering experience to our valued customers from beginning to end. To create “raving fans” of the company, happy guests, and customers, and to ensure that they are charged fairly for our food services – always. Website Design and Development by Premier Web Solutions Inc.